Jet Black Metallic 2018 V8 Porsche Panamera Turbo AWD, Front Seat Ventilation, Lane Change Assist (LCA), LED-Matrix Headlights w/PDLS+, Premium Package Plus, Rear Axle Steering w/Power Steering Plus, Soft Close Doors, Sport Chrono Package, Sport Package, Sports Exhaust System w/Tailpipes in Black, Storage Package. 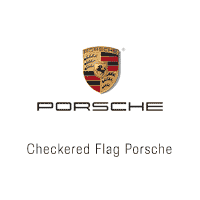 This vehicle is located exclusively at Checkered Flag Porsche only minutes from Norfolk, Chesapeake, Hampton and all of Hampton Roads!! We are located at 2865 Virginia Beach Blvd close to Lynnhaven Parkway in Virginia Beach across from One Life Fitness and Hobby Lobby.